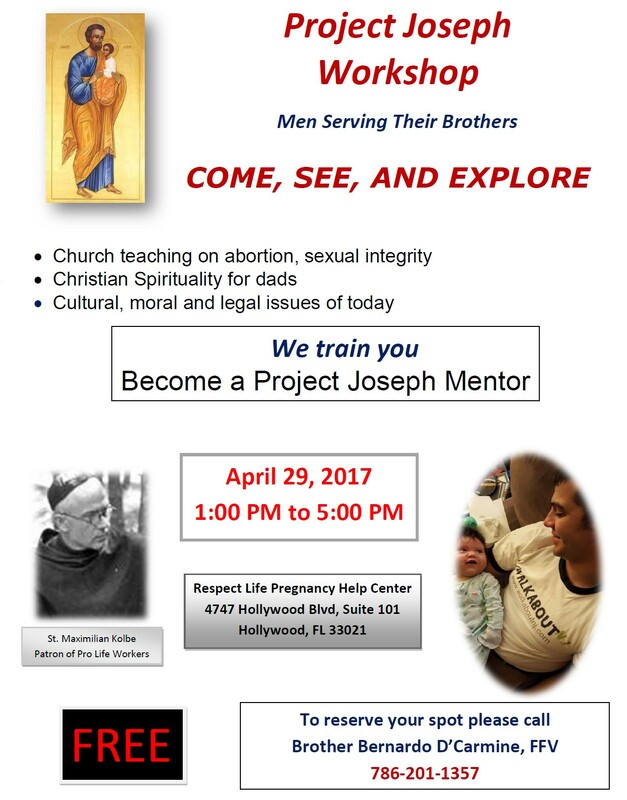 MEN 25+ IN THE ARCHDIOCESE OF MIAMI: COME, LEARN ABOUT PROJECT JOSEPH AND HOW TO HELP MEN IN CRISIS PREGNANCY. A huge THANK YOU to the Archdiocese of Miami for including the announcement of the workshop in the Pastoral Bulletin of April, and to the Knights of Columbus of Miami-Dade, Broward, and Monroe County for promoting the workshop. We look forward to prepare more men so that they be ready to mentor dads in the Archdiocese of Miami’s 5 Pregnancy Help Centers.